WandsworthTown.com are part of the Neighbour Net group of websites. 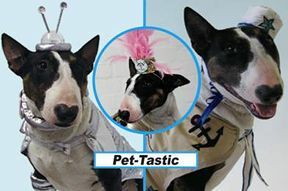 Make a costume, dress up your dog and come along to the Shimmy Pet-Tastic with a different pet-rospective. You may dress a dog shaped biscuit with icing, make a dog mask enabling you to be closer to the canine you long to be, take part in the parade and meet beautiful dogs and their beguiling owners. Do you own the best 'Old timer' - are you the best six legs?